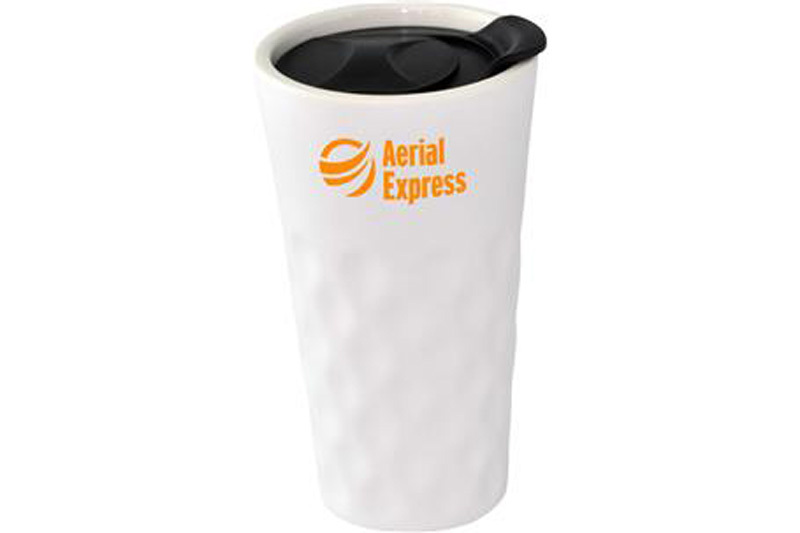 This quality 350ml ceramic mug features a double wall construction designed to keep the outside of the mug cool while keeping your coffee extra hot. 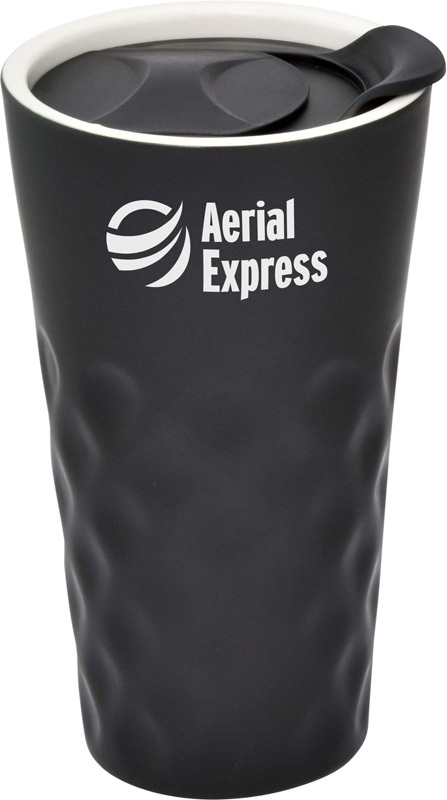 The distinctive dimple design is pleasing to the eye and comfortable to grip, ensuring this gift will take pride of place on the office desk. 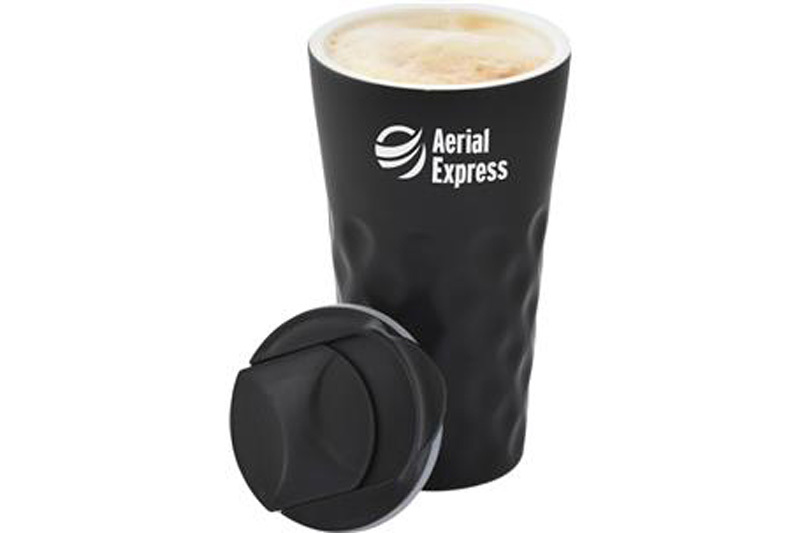 Use the included splash proof lid when you are out and about to prevent any nasty spills. 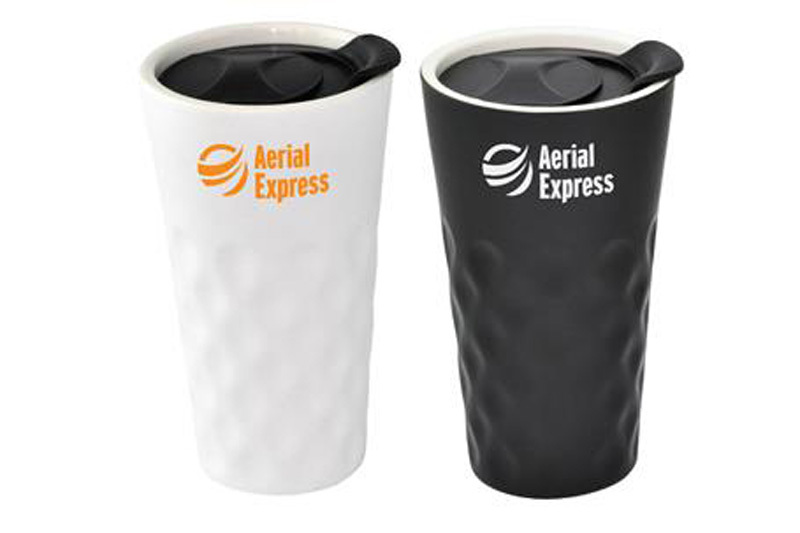 This mug is available in matt black or matt white, both with black splash proof lid.